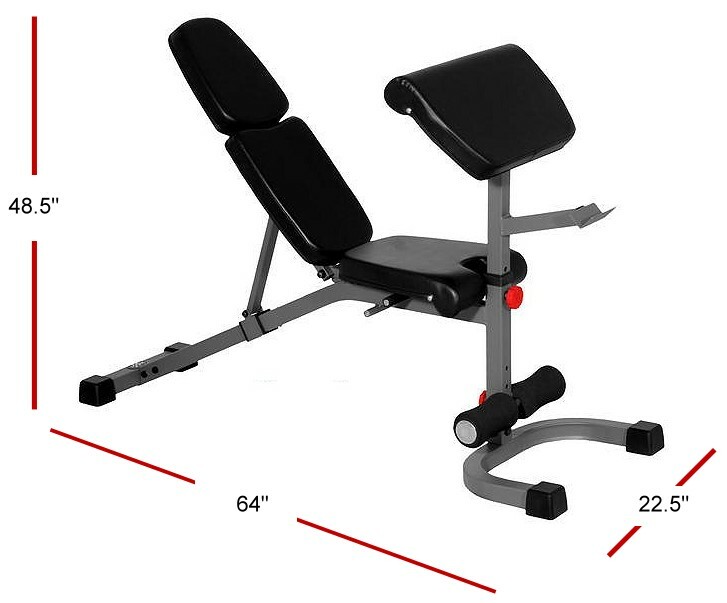 The XMark Flat, Incline, Decline (FID) Weight Bench offers an affordable and versatile tool for quality workouts from the comfort of home. With eight spring loaded pop pin adjustments, the XM-4417 adjusts from decline to full military position for maximum versatility throughout each workout. The preacher curl offers three vertical adjustments as does the 4" leg hold-down roller pads allowing for a completely customizable workout designed to fit you. Built for long-term use, the sturdy bench is constructed of heavy duty 14-gauge, 2 by 2-inch steel with extra thick 2.5-inch Hi-density cushions and double stitched, sweat and tear resistant Duraguard vinyl. Build the best you with XMark, the mark of excellence.